Aaron D. Silvers devotes his practice to representing policyholders in residential and commercial property disputes. 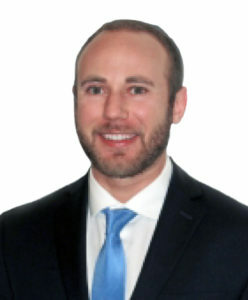 Prior to joining Weisser Elazar & Kantor, Aaron worked as an attorney with a large national law firm where the focus of his practice was devoted to representing and defending insurance companies in property and casualty coverage disputes, bad faith litigation and first-party property litigation. Aaron utilizes the experience gained while working as a defense lawyer for insurance companies to be a zealous advocate for homeowners and business owners in claims and lawsuits against their insurance companies. Aaron has experience litigating in both State and Federal Court and is licensed to practice law in the State of Florida, the Supreme Court of the United States, the United States Court of Appeals for the Eleventh Circuit, and the United States District Courts in and for the Southern District of Florida, Northern District of Florida, and Middle District of Florida. Having grown up just outside Philadelphia, Pennsylvania, Aaron is an avid Philadelphia sports fan. In 2010, he graduated from the University of Central Florida with a bachelor’s degree in accounting. Thereafter, he attended Nova Southeastern University, Shepard Broad College of Law where he served as the president of the Jewish Law Student Association and was a member of the Philip C. Jessup International Moot Court Team.